Though oil is oil is oil, European cars are made differently from domestic, and so require specific attention; a certified German auto repair technician, will know exactly what your car needs and will perform it properly. 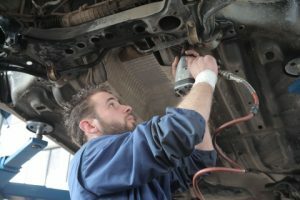 And chances are, they not only know how to repair your car, but are European car owners themselves. If you want your car to perform at it’s best, you should take it to a shop that knows the ins-and-outs of your car. Because German cars are different from others, they require parts and tools specific to them that regular auto body shops won’t have. Taking your car to a shop that specializes in German auto repair ensures that maintenance is performed properly: You will avoid having to come back to the shop, and even at the very worst, more damage to your car. A certified European repair shop will have the right parts, which will speed up the repair or maintenance process, and get you on your way sooner. Also, they will know exactly what parts you absolutely need. Your car needs parts made for your exact make and model to run at it’s best. Avalon Motorsports should be your first choice for your German auto repair needs in Denver and the surrounding areas. Not only do they sell, maintain, and repair German cars, they are passionate about German cars and want yours to run well so you can get out on the road and and enjoy your ride!